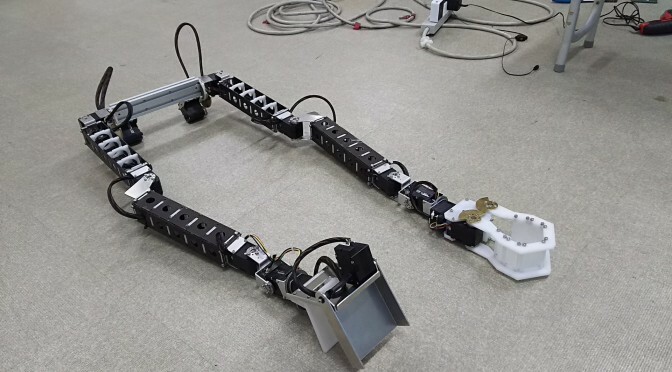 Though it is just an inspection test, it is the first time that the robot behaves rightly in the official test. We have checked the procedures at each waypoint with a shortened program. 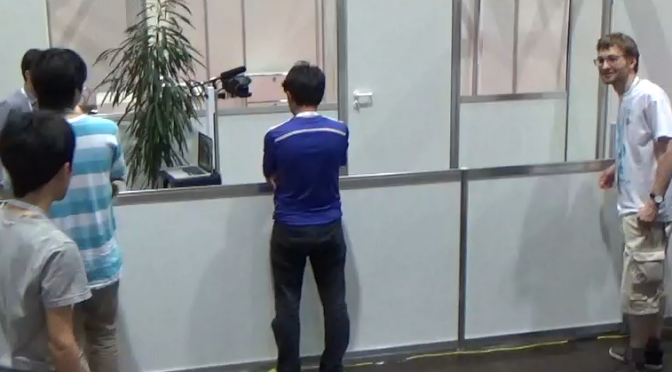 We had a trouble in the communication way of computers on the robot. It was removed. 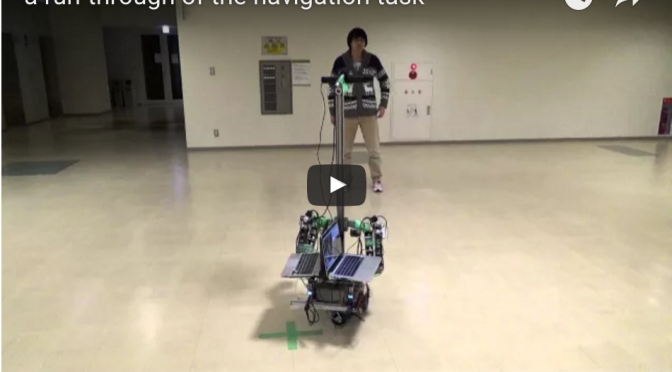 We have taken a demonstration video for our application for RoboCup 2016. This video shows a run-through in which the navigation task is assumed. Though some problems can be seen in this video, I’m simply astonished by the rapid construction of hardware/software. It was just 63 days before when this team was born.